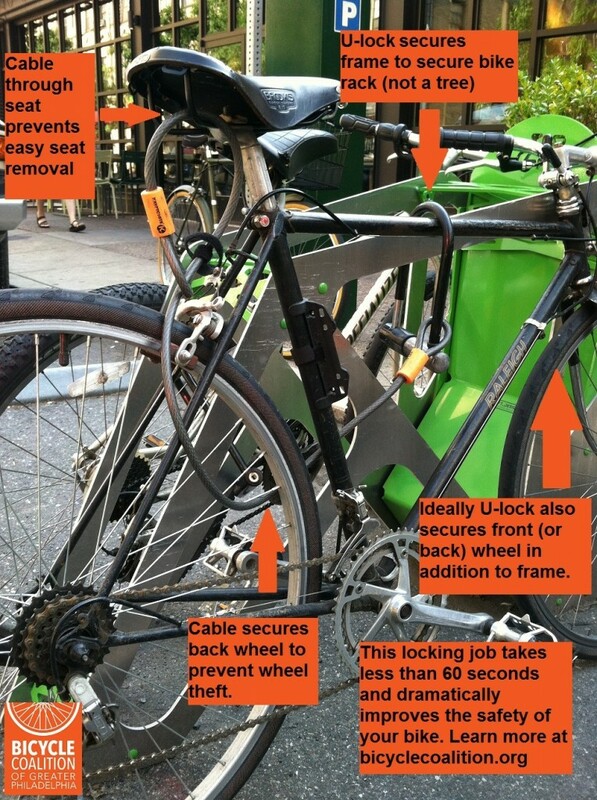 There is no way to lock your bike that will guarantee it will not be stolen. Sorry, champ! But there are easy ways to lock your bike that will make your bike harder to be stolen, encouraging thieves to look for targets elsewhere. This bike is locked well. Everything that could be easily removed is secured: the U-lock secures the frame and one wheel to the pole, and the cable secures the second wheel to the U-lock. The seat requires an Allen key to remove, and the rider took the front and rear bike lights with him. If the seat was quick-release, the rider would have taken it with him or threaded a cable through the seat. The pole (top not shown) has a sign at the top preventing the bike and U-lock from being lifted up and over the top of the pole. And the pole is securely cemented in the ground, and not made of a material that could be easily cut (like a tree or chain-link fence). Many people don’t think about their bike seat (or saddle) as something that can be stolen. 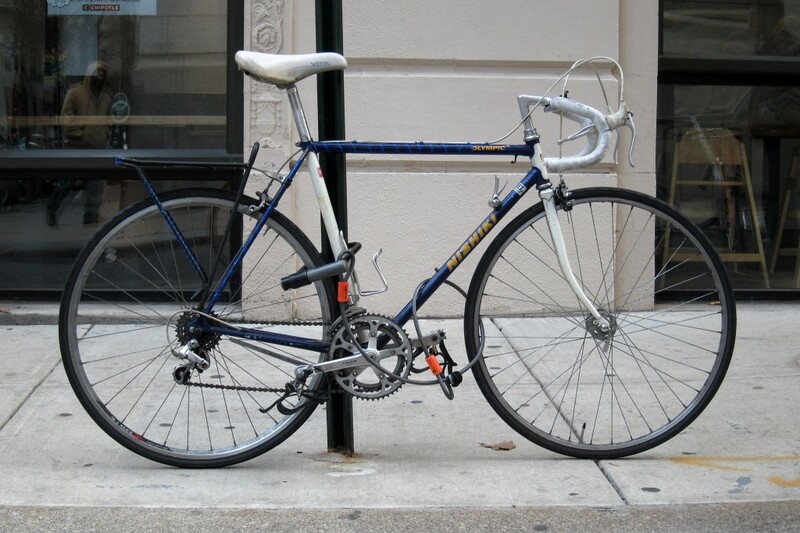 Saddle theft is substantially less common than wheel or whole-bike theft, but it still occurs. If you want to go the extra mile to secure your ride (especially if your seat can be removed without tools), here is a visual guide on how to do it. This is a bad way to lock your bike. The U-lock here only secures the front tire to the pole. The front tire could be easily removed, freeing the rest of the bike to be stolen. The back wheel, like the front wheel, is a quick-release wheel (very common), which can be removed in seconds without tools. Other things to consider: do not lock up to chain link fences, trees, wooden railings, or other things which could be easily cut or broken in order to remove your bicycle. There are also laws in Philadelphia about what you can and cannot lock to. 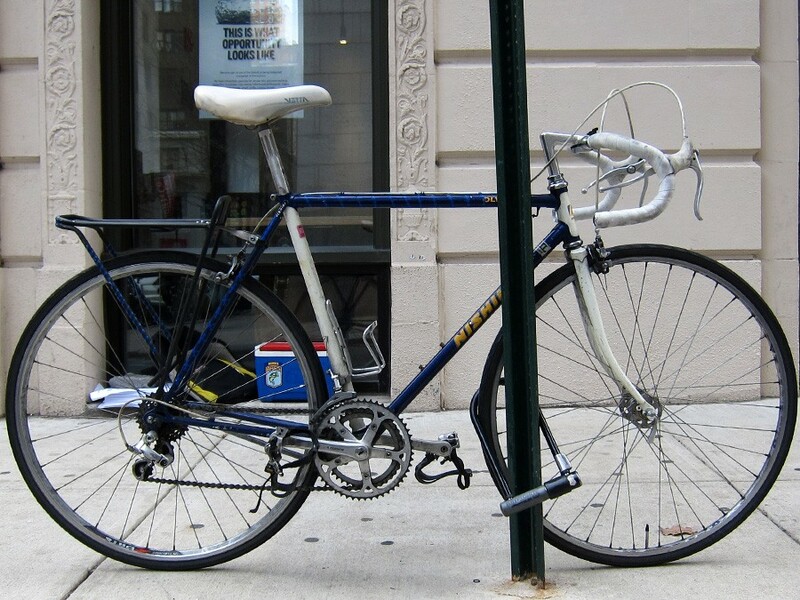 Be aware of bicycle theft hot spots, but also remember that bike theft quantities are higher where there are more bikes. There is an ever-growing constellation of gadgets, gizmos, and systems designed to help you secure your bike and track it if it is stolen. They include GPS tracking devices, QR codes, and more. Look online or talk to your local bike shop for more information.